This week we start a new line in the Portuguese Accessible Heritage .It’s Called Accessible Tip intends to share experiences of travelers in Portugal and has any kind of disability. 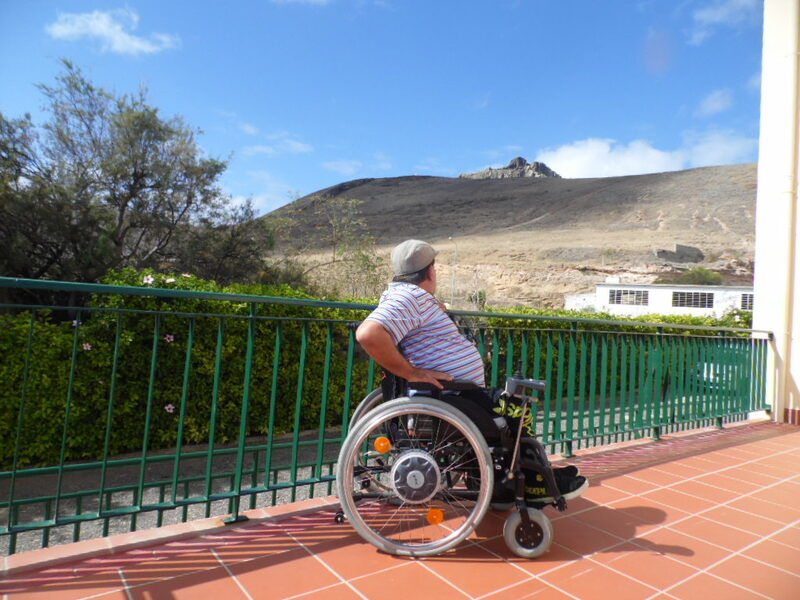 This week we bring the testimony of Joseph Senra a 52 , borned in Minho (northen Portugal)who loves to travel and as I see is not his disability that prevents him to travel. “Hello my name is José Senra, I’m 52 years old, married and I’m a wheel chair user because I was born with Spina Bifida. I have traveled a lot. Whether in Europe, also to Brazil where I have done a few thousand Kms. The holidays are usually made in Portugal. The trips are almost all marked on the net. In what concerns to hotels and booking air travel when applying. I love Lisbon, but also like a lot of Coimbra, Aveiro, Porto, some locations in the Alentejo and my hometown, Viana do Castelo. I travel either alone or accompanied and this fact does not change the way we organize the trips. Usually use search engines on the Internet and just apply the variable person in a wheelchair. Soon the hotel will have the same access, as this is indicated on websites and journals. When necessary I write suggestions or make complaints even in the books themselves for this purpose. Or even back home, sending emails suggesting points to be improved and also highlighting those already think are perfect. Have lost me the wheelchair on airplanes, I’ve had annoyances when trying to catch trains that were not accessible, I have given up making long journeys on buses because they simply are not adapted, etc. Fortunately today in many cities in this country (Portugal), urban transport are already beginning to be inclusive, which substantially improves the mobility of all people. “. If you want to follow the example of José follow this link, answer the questions and send them accompanied by one or two photographs with the respective authorization for publication accessibleheritage@hotmail.com. ‹ Previous+ Accessible Beach 2015. Next ›Ruínas Romanas de Tróia com percurso acessível.